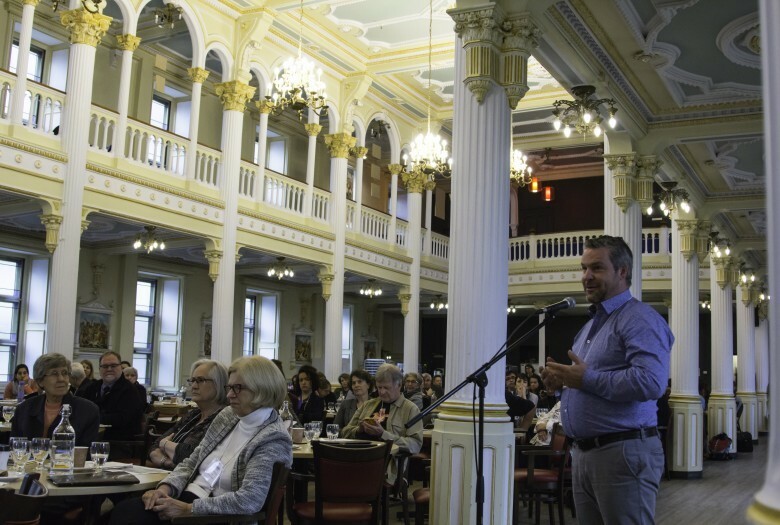 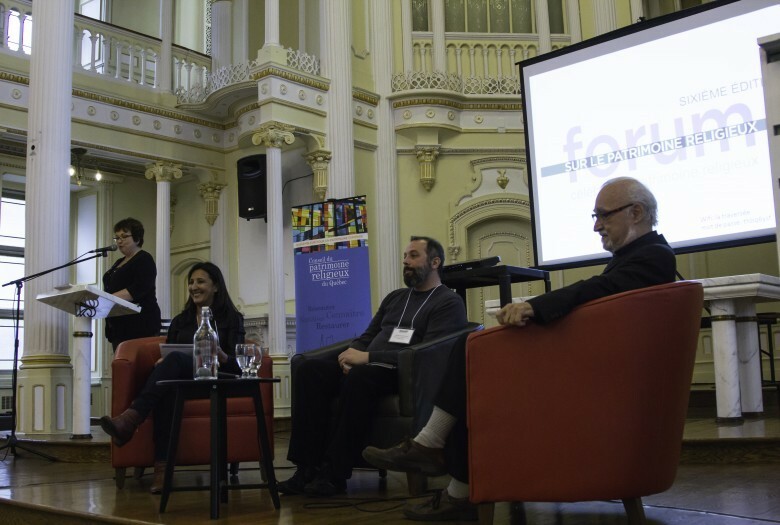 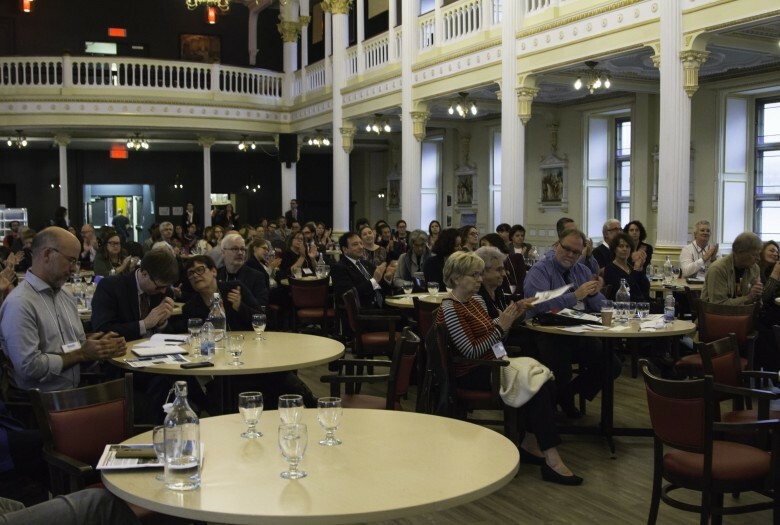 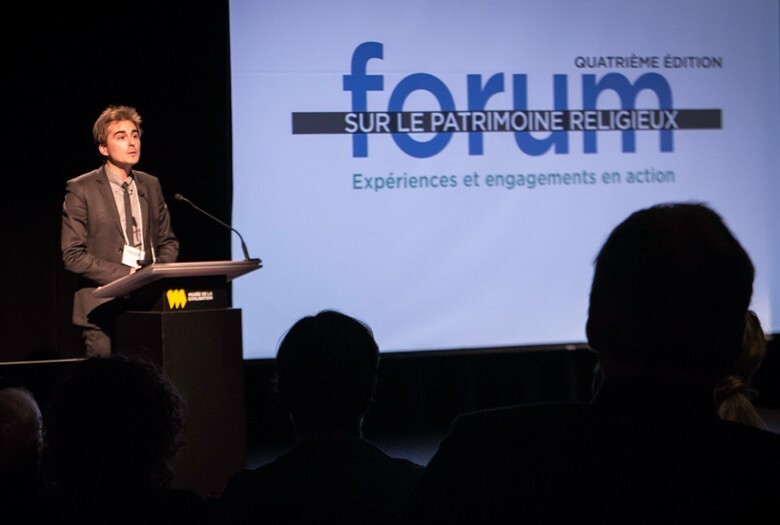 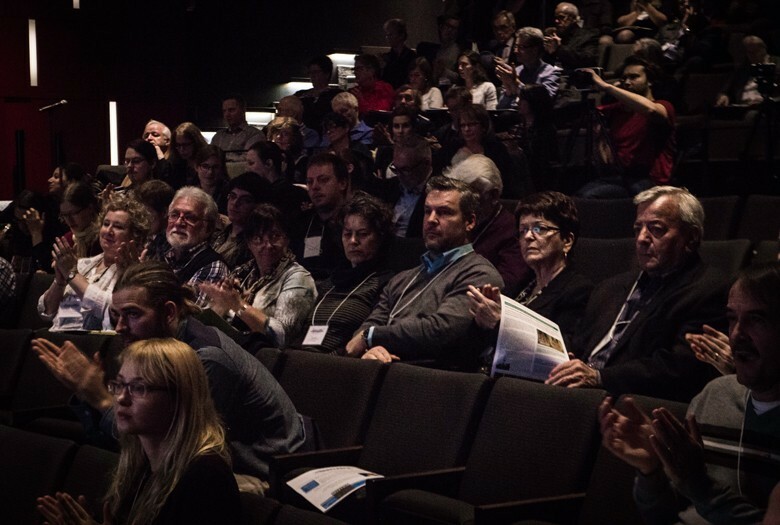 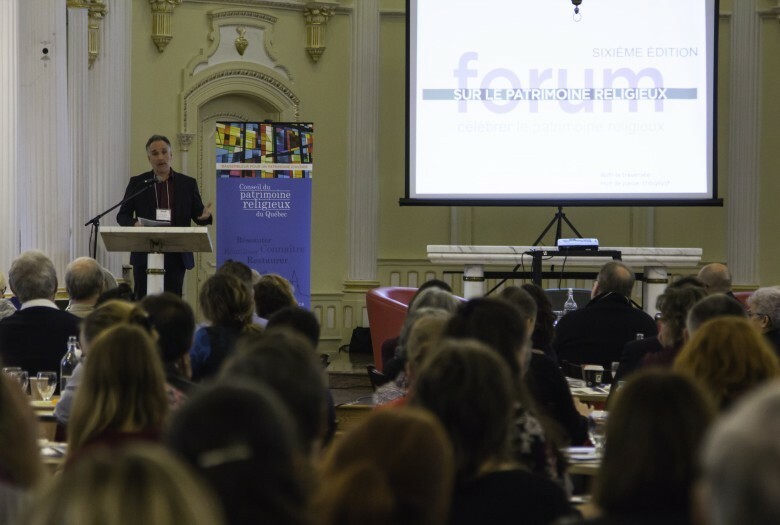 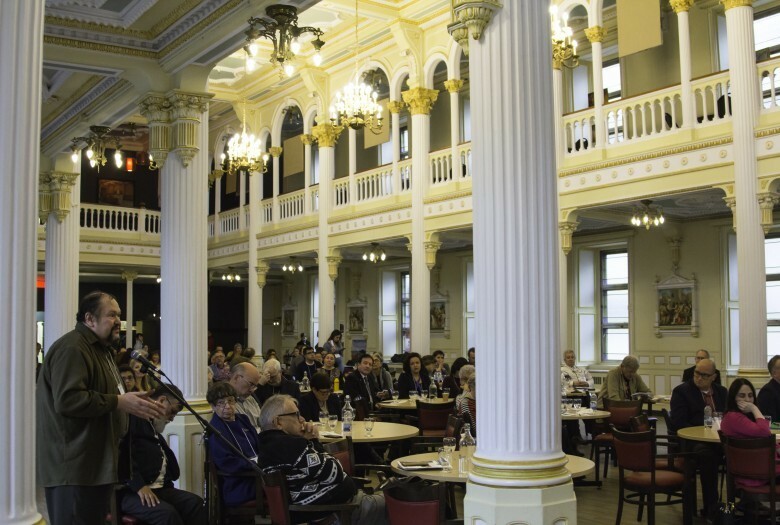 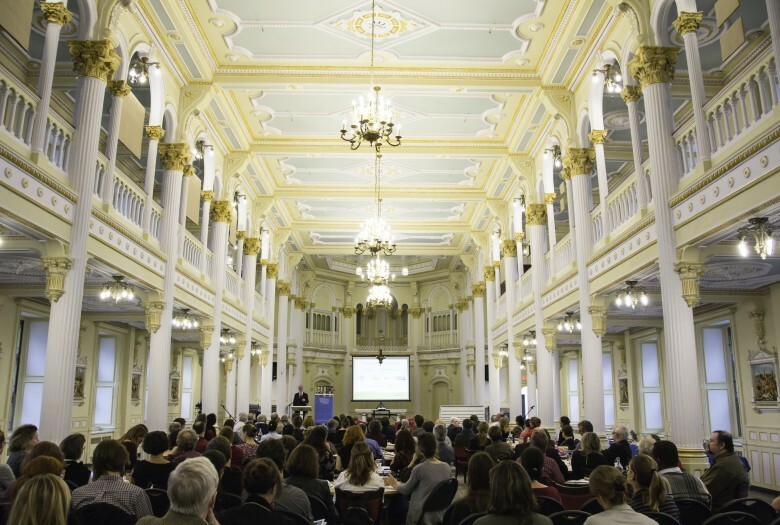 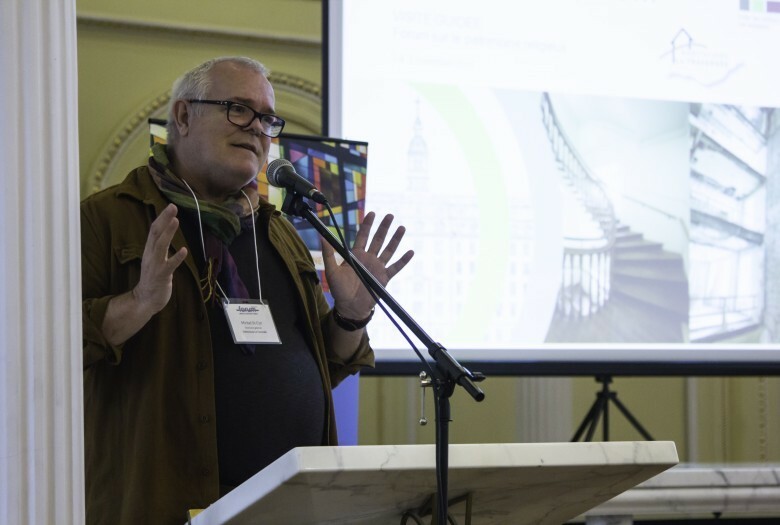 The Forum on Québec’s Religious Heritage is the annual meeting of all stakeholders concerned about the future of Quebec's religious heritage. 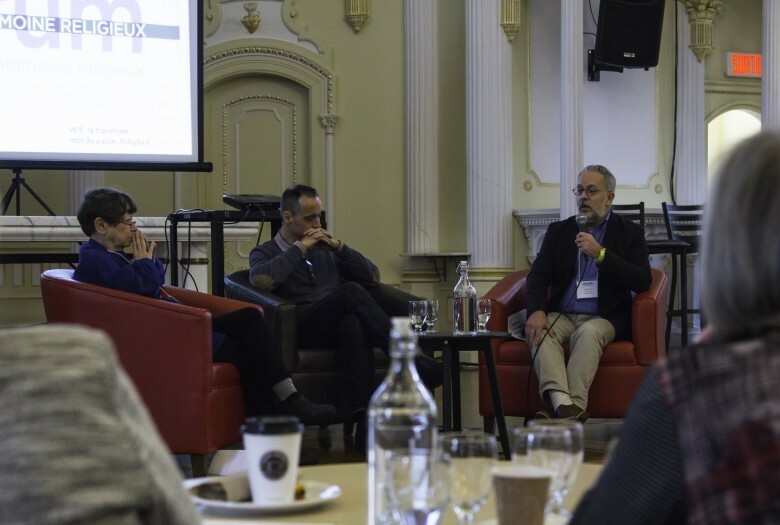 Through conferences, round tables, and discussions, Forum attendees discuss their experiences with innovative and concrete projects. 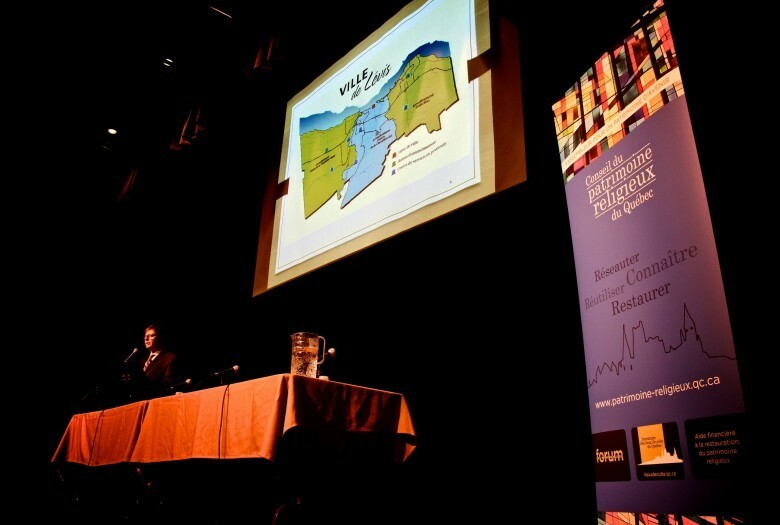 This gathering is an opportunity to take stock of the situation nationally and offer sustainable solutions. 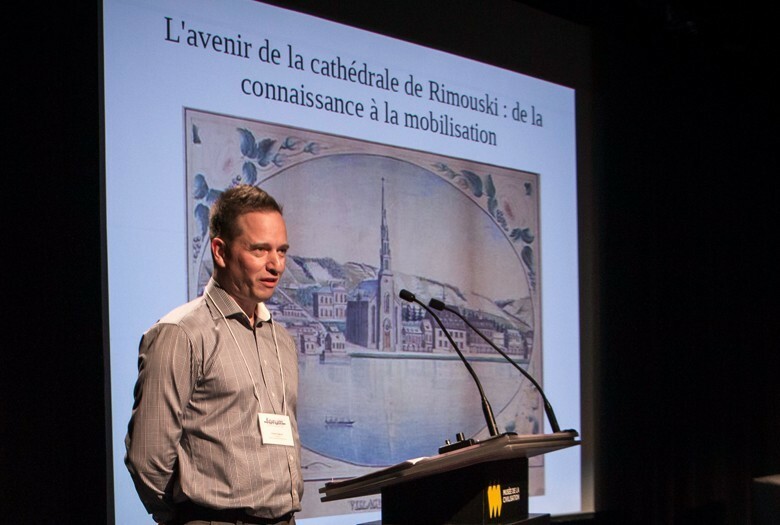 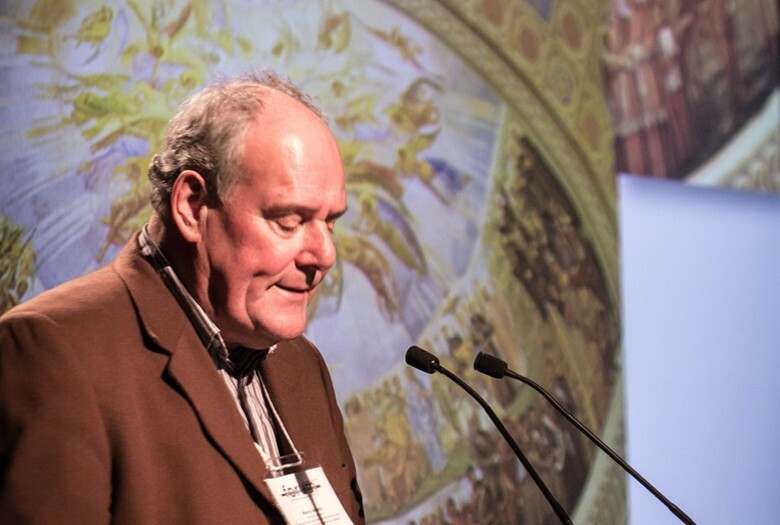 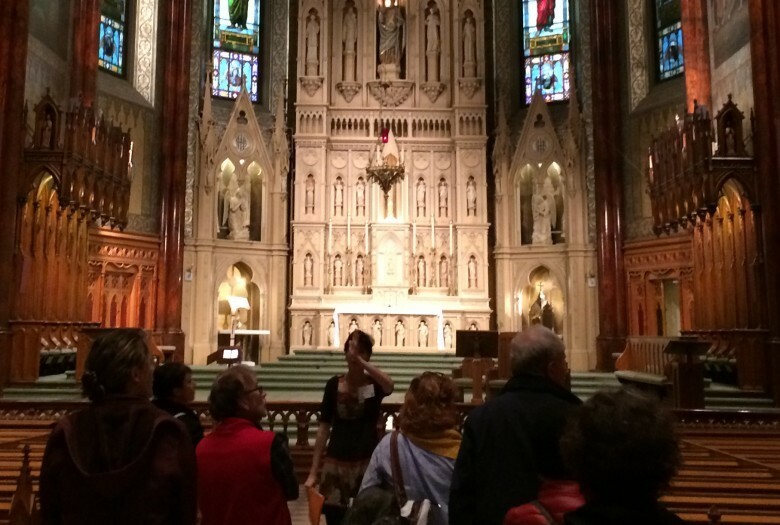 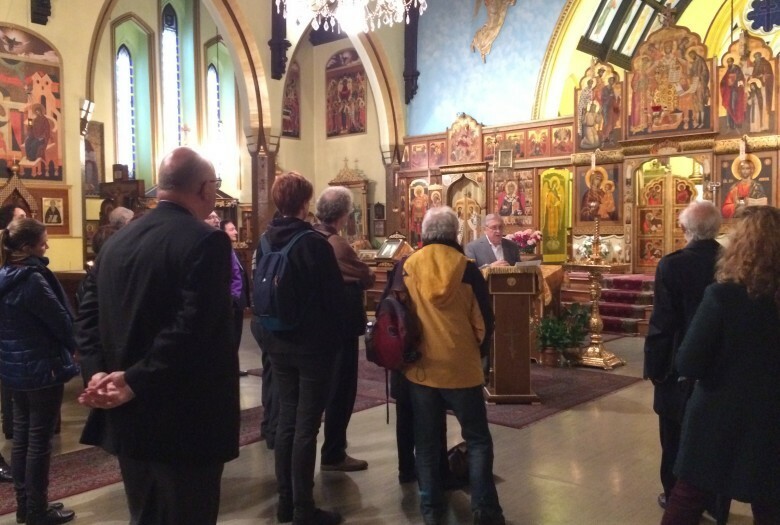 Opening, by Denis Boucher, Cultural Heritage Advisor, Québec Religious Heritage Council. 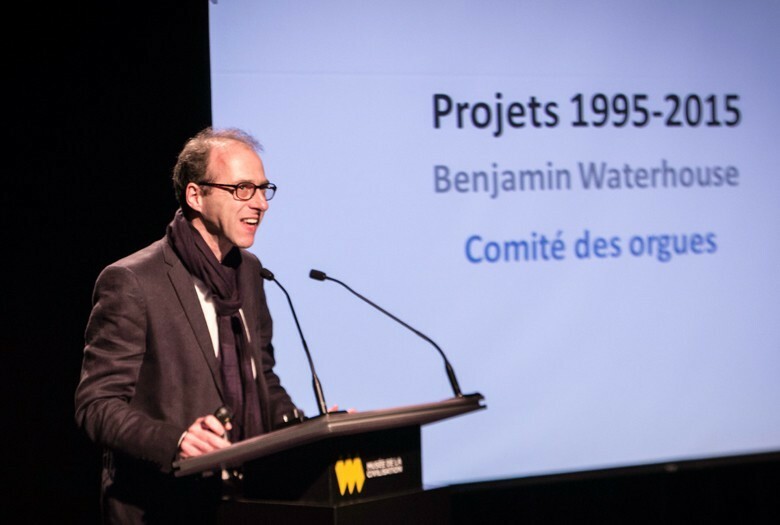 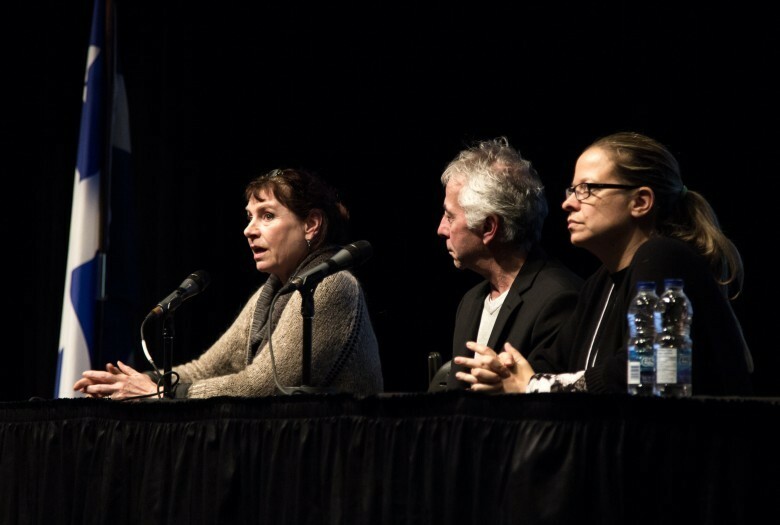 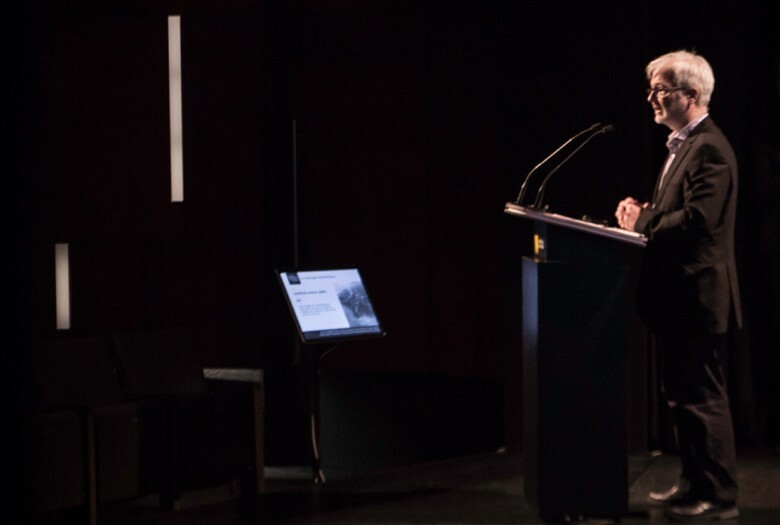 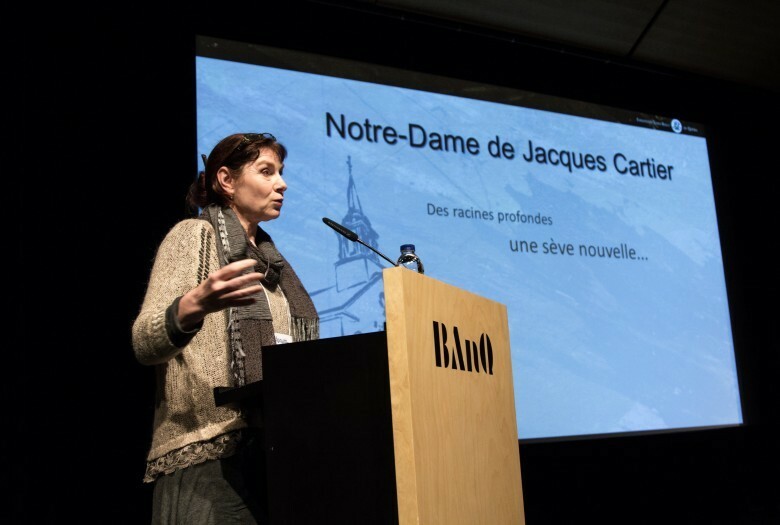 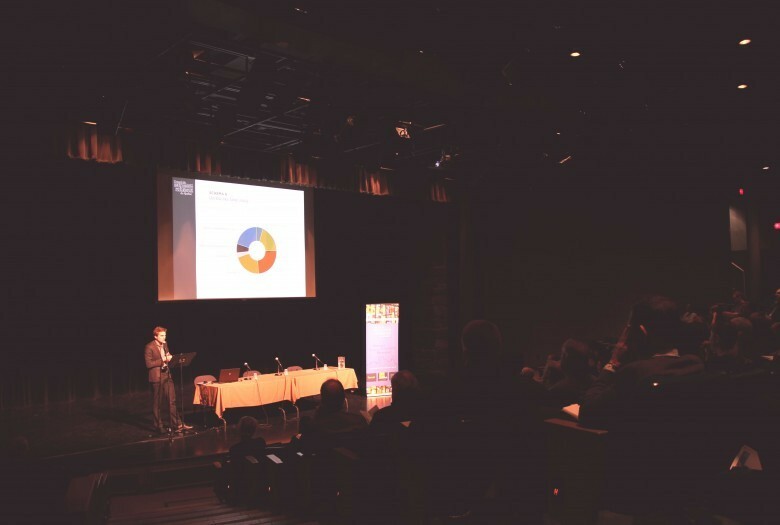 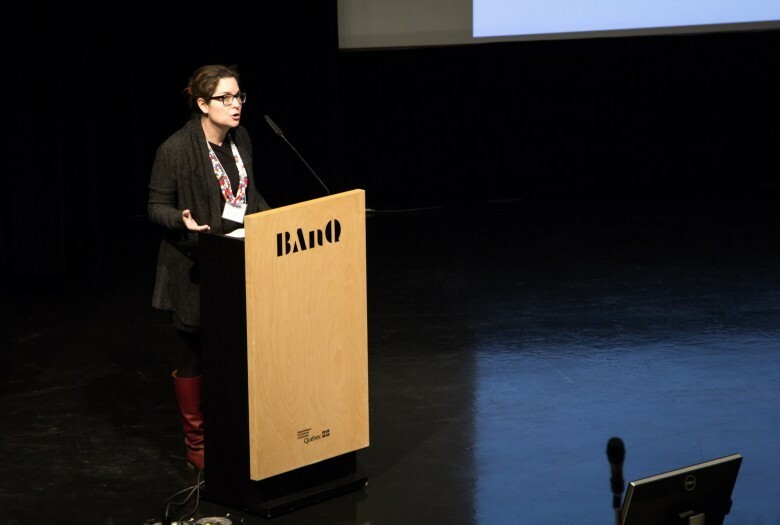 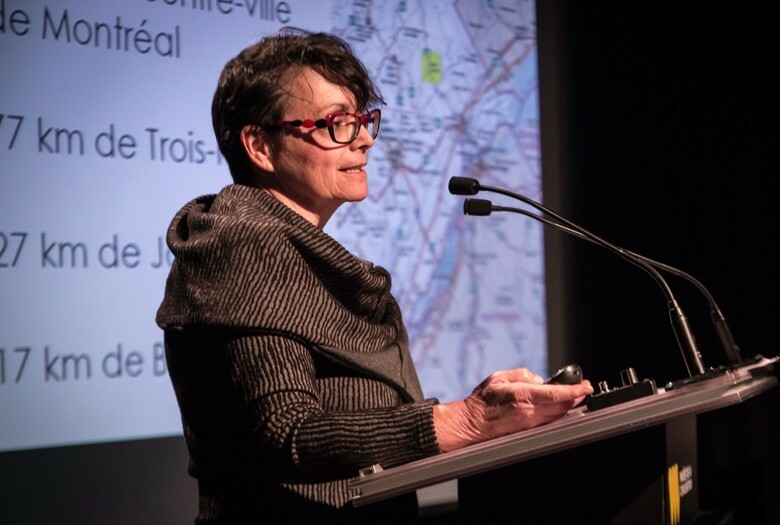 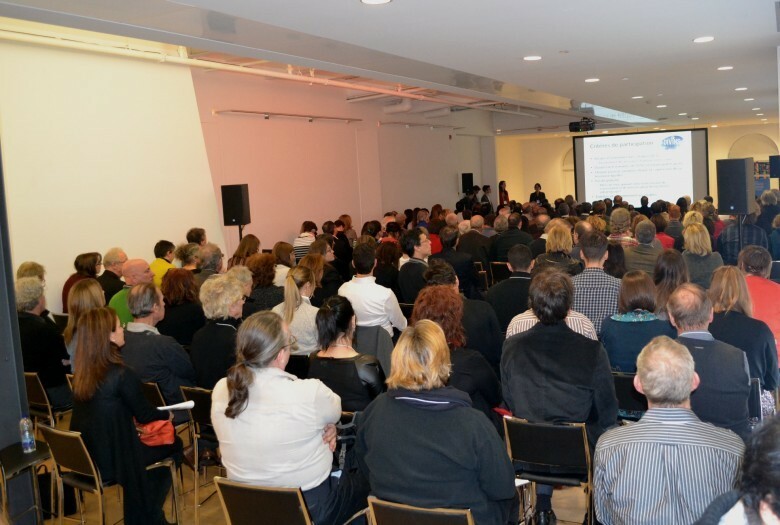 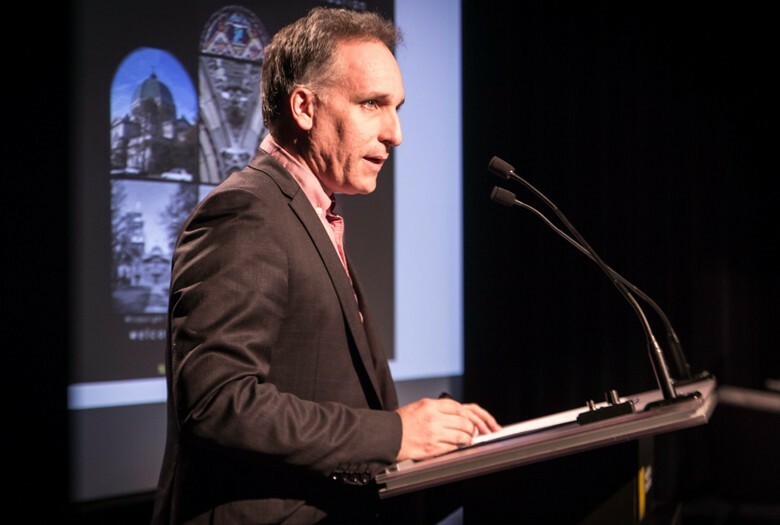 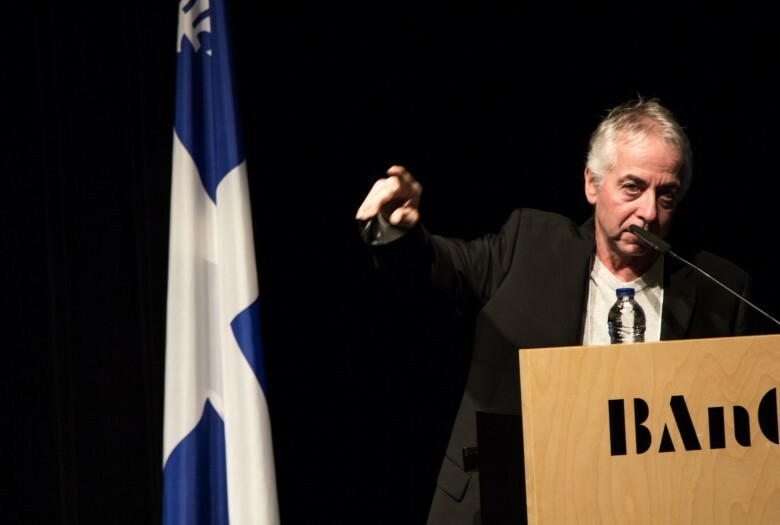 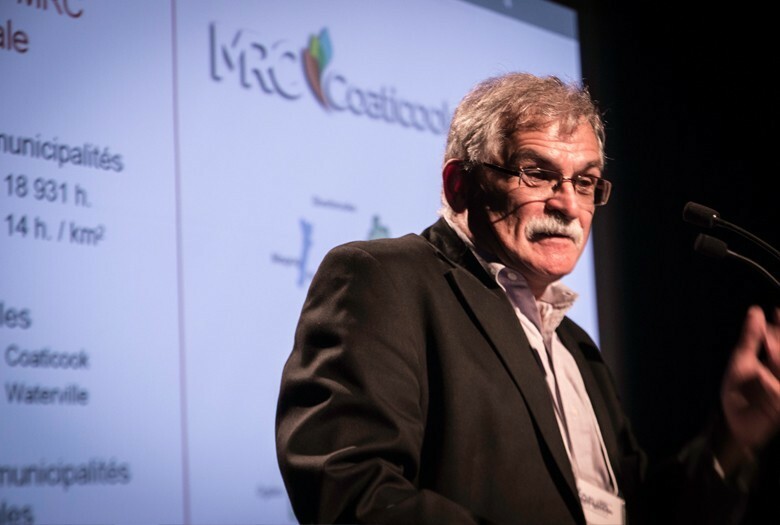 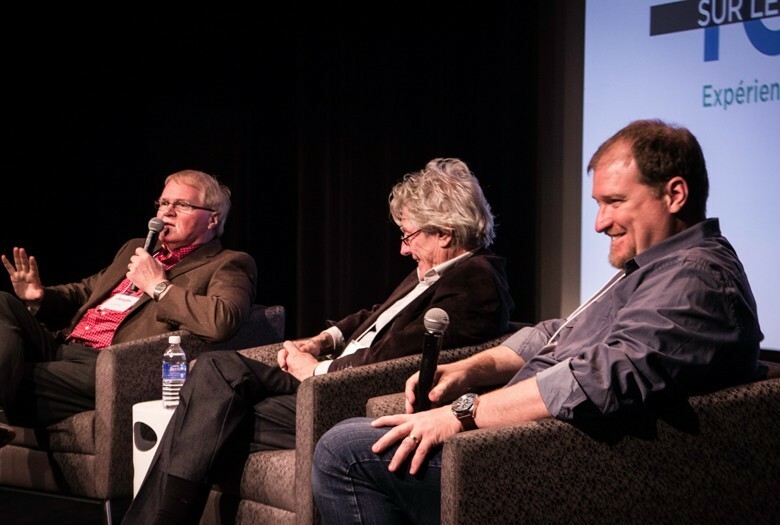 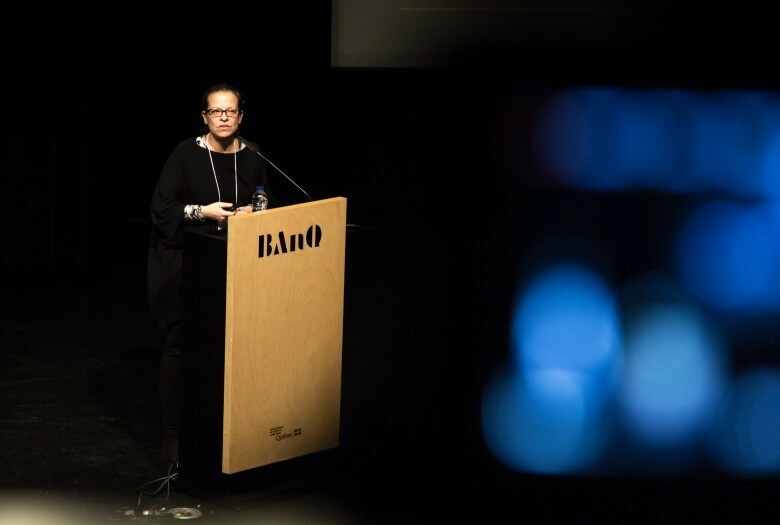 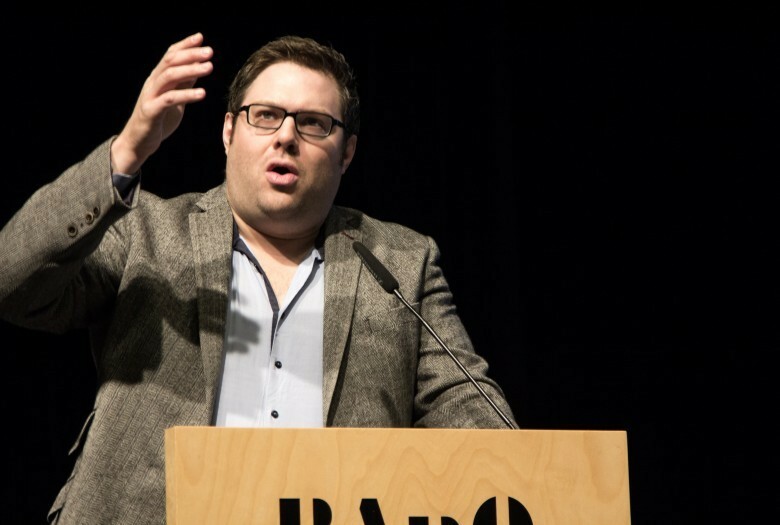 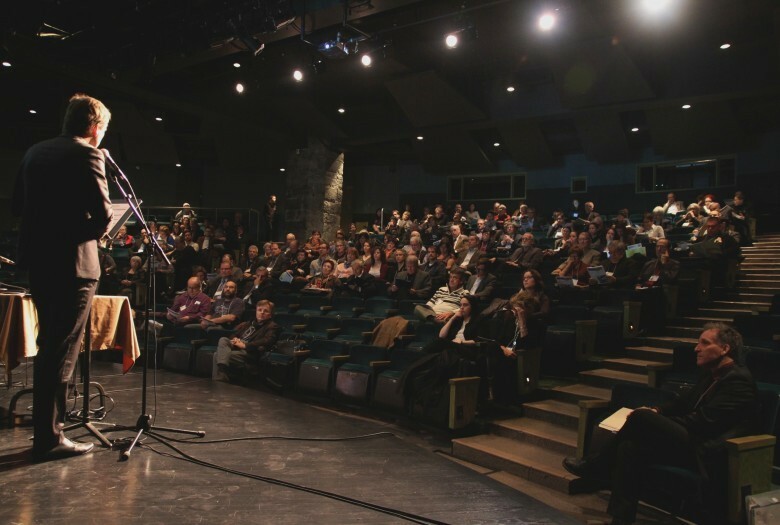 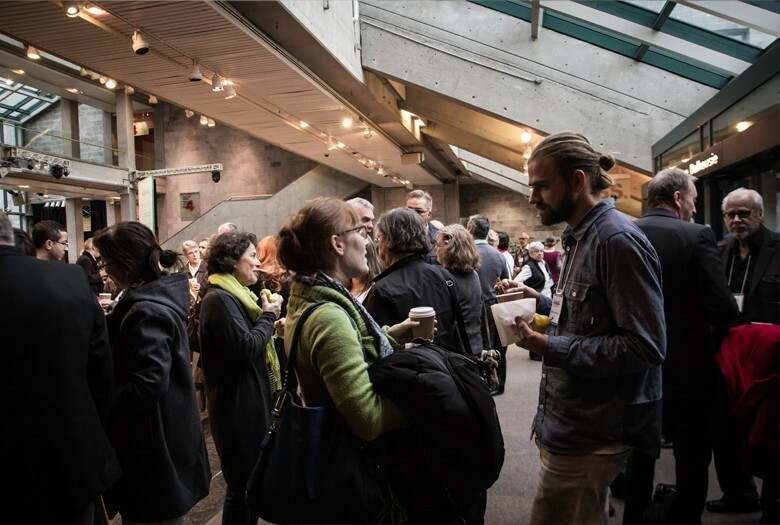 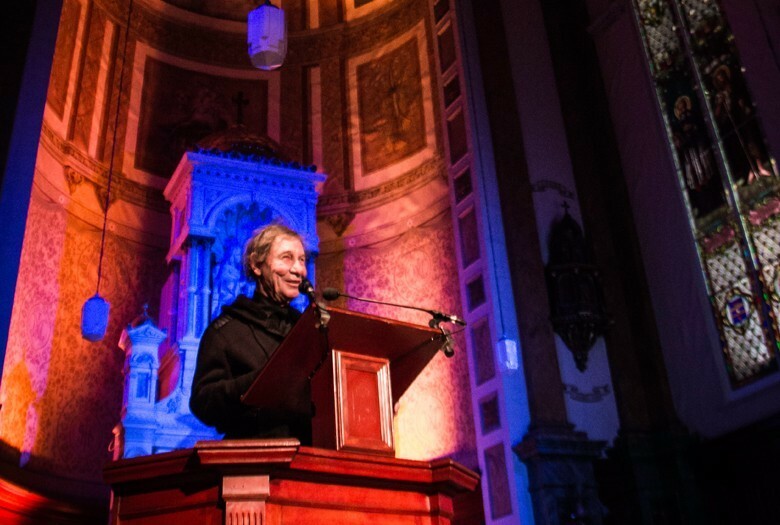 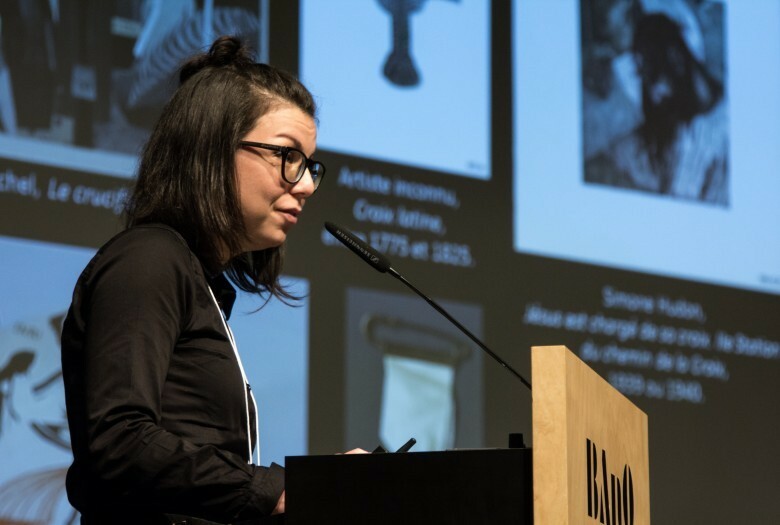 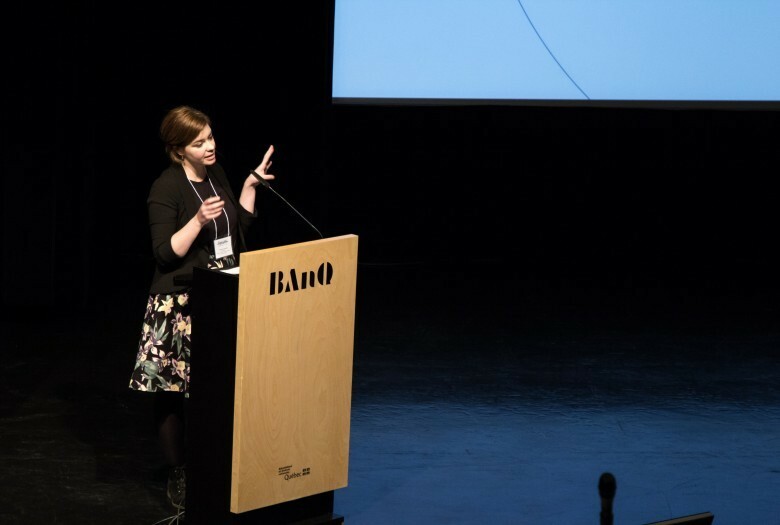 The event was held at the Roland-Arpin Auditorium of the Musée de la civilisation, in the city of Québec. 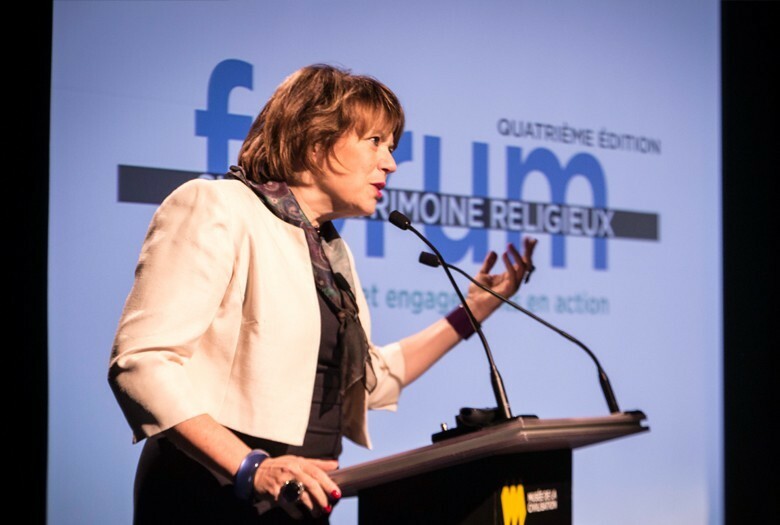 Hélène David, ministre de la Culture et des Communications et ministre responsable de la Protection et de la Promotion de la langue française. 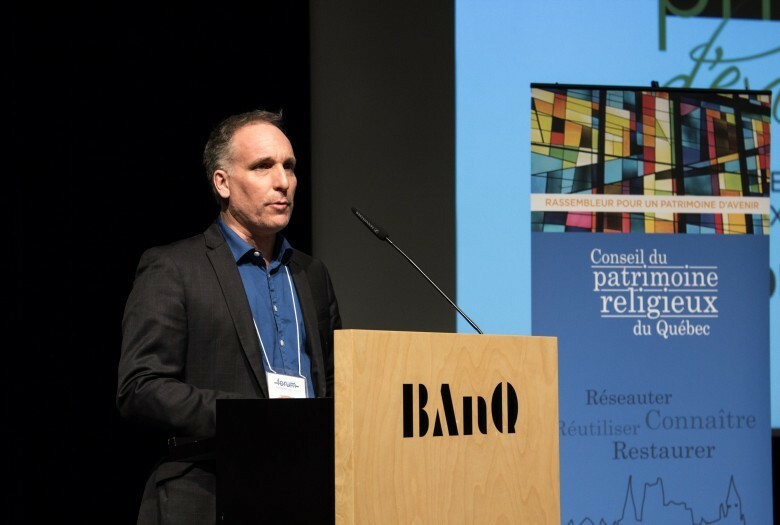 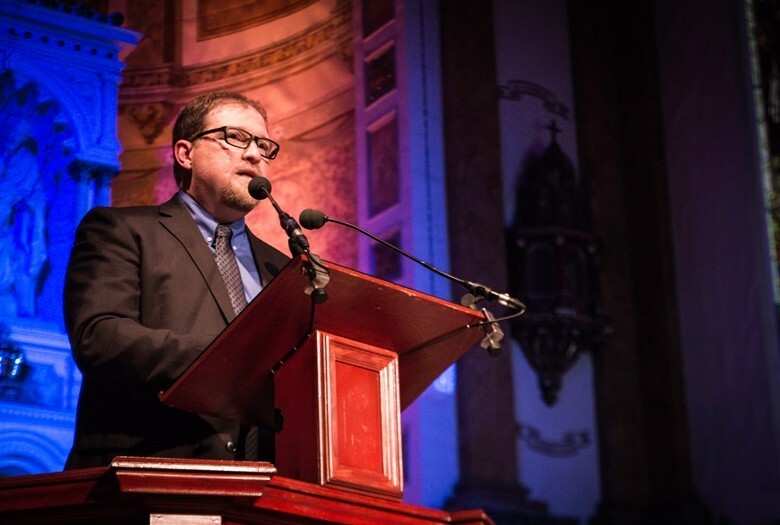 Jocelyn Groulx, directeur, Conseil du patrimoine religieux du Québec. 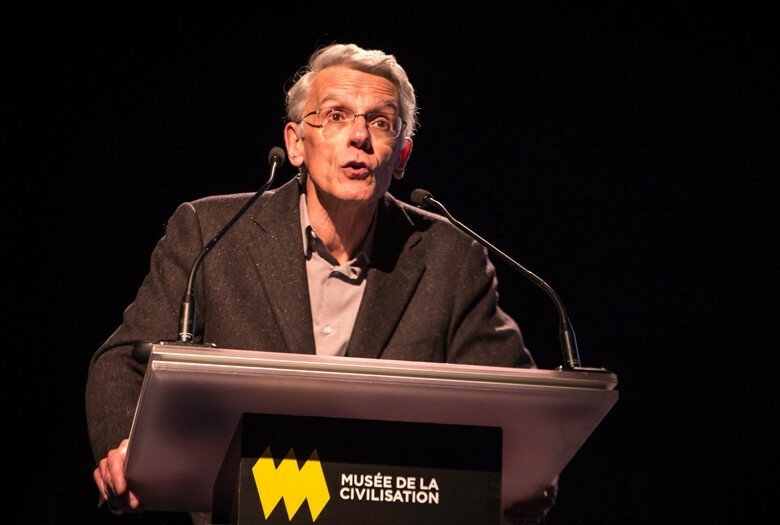 Mario Béland, membre du comité des biens mobiliers et des œuvres d’art. 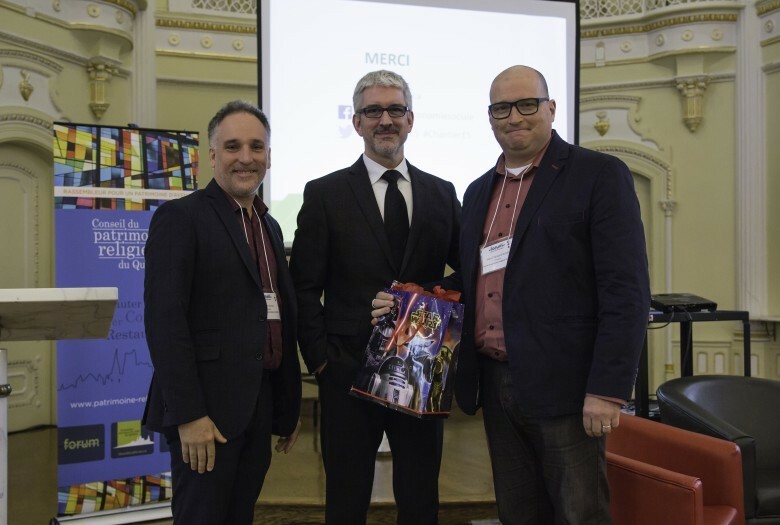 Table ronde : regards croisés sur l’avenir du patrimoine religieux, avec Luc Noppen, professeur en Études urbaines à l’UQAM, Serge Filion, urbaniste émérite et Jean-François Royal, président du Conseil du patrimoine religieux du Québec. 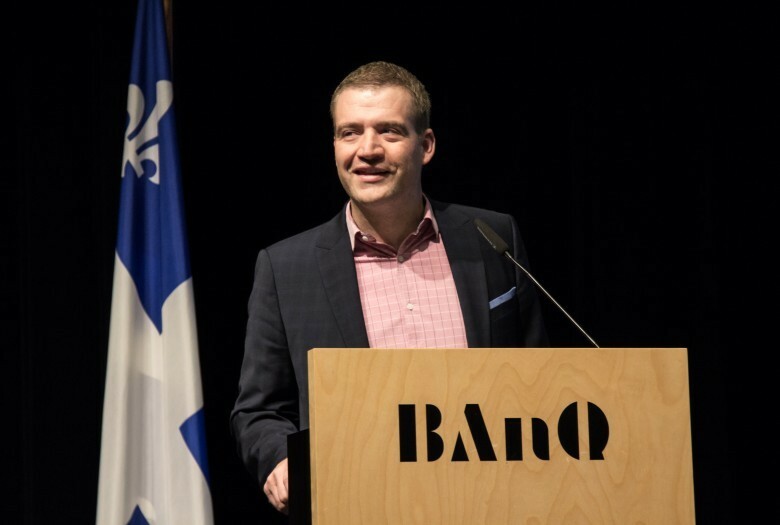 Conference Gaétan Hallé, president of the factory of the Saint-Joseph-de-Lévis. 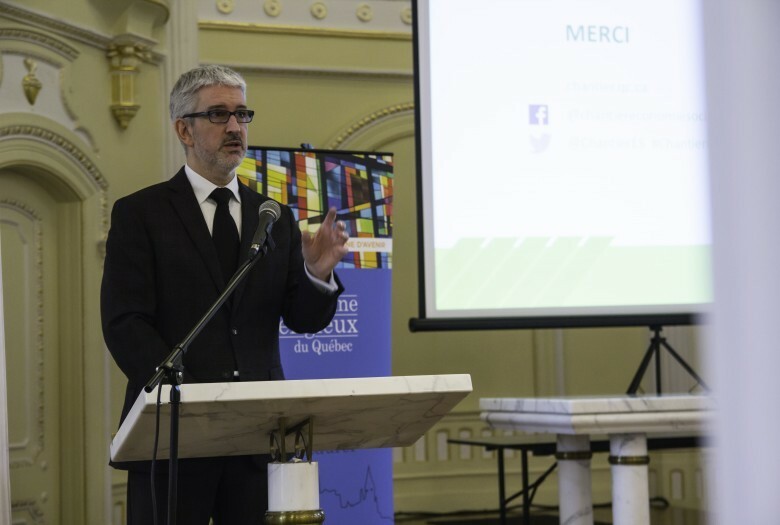 Presentation of the results of the survey of changing churches in Quebec by Denis Boucher CPRQ. 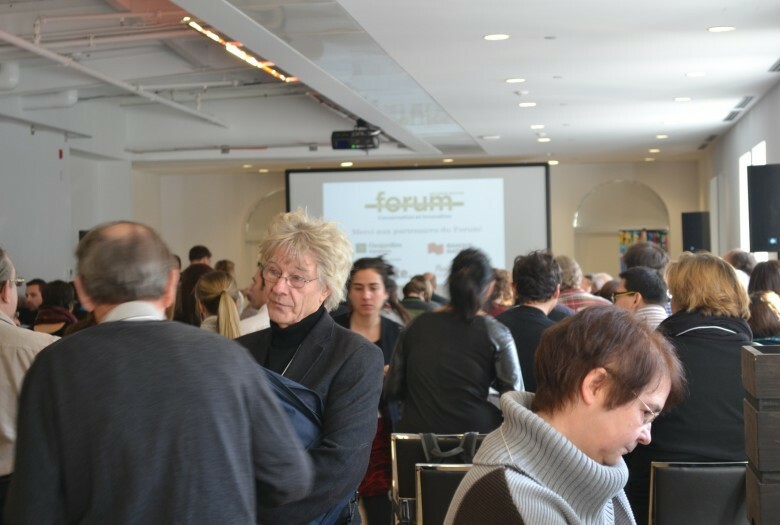 The assistance of more than 200 participants in Phi Centre in Old Montreal. 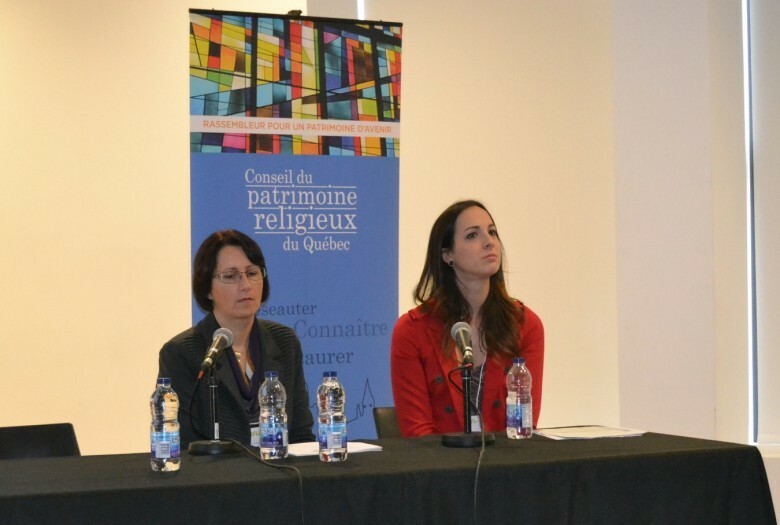 Participants in the round table on the role of MRC in religious heritage. 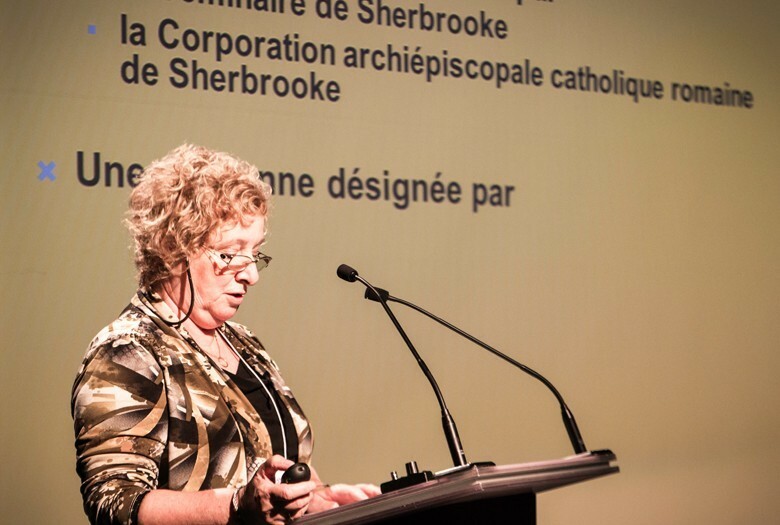 Ms. Ghislaine Daris conference, Mayor of Cacouna on the project to transform the church sacristy. 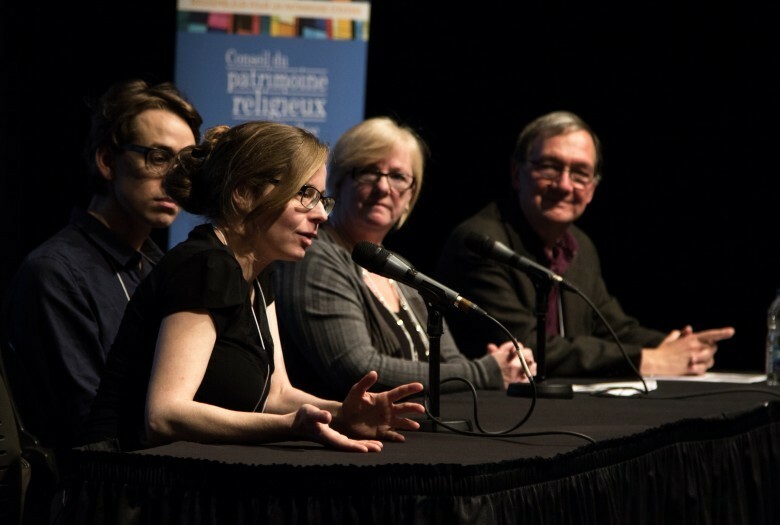 Question period with ladies France Saint-Amand and Violaine Héon for Divine Detour project in Shawinigan. 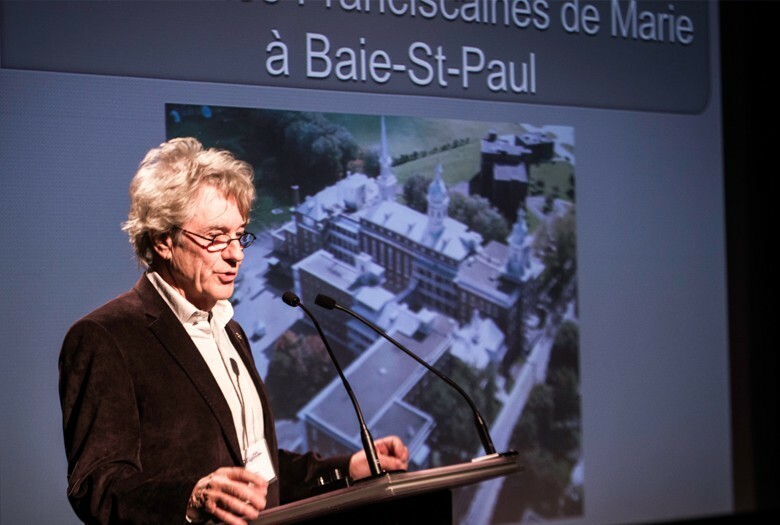 Foreground: Serge Filion, emeritus urban planner and member of the jury of the 2013 Award of Excellence Prizes. 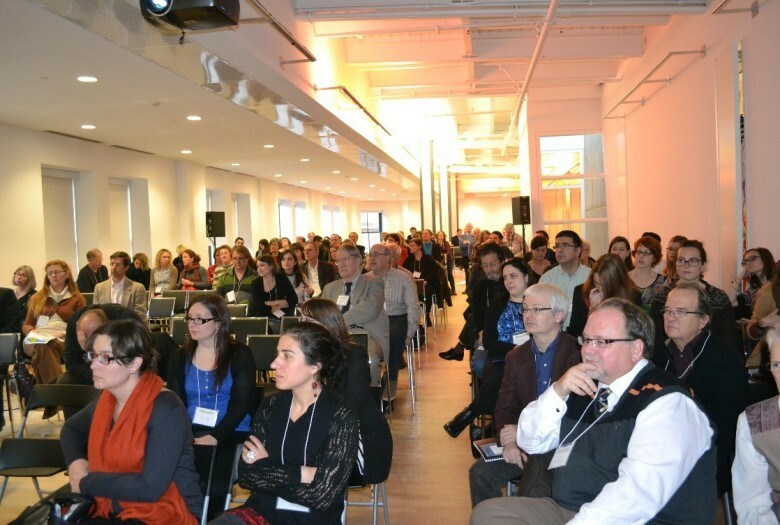 Assist Phi Centre in Old Montreal. 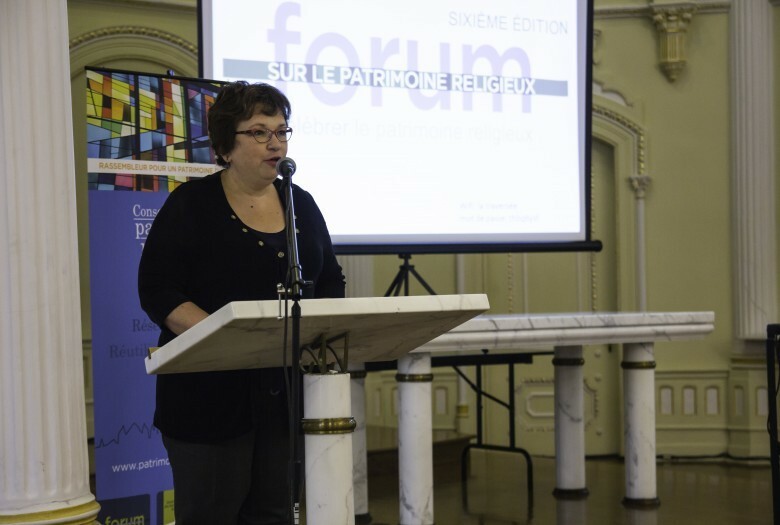 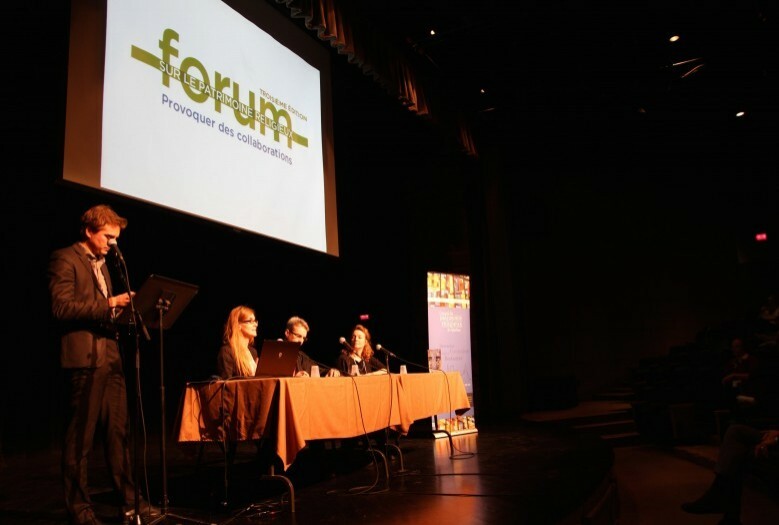 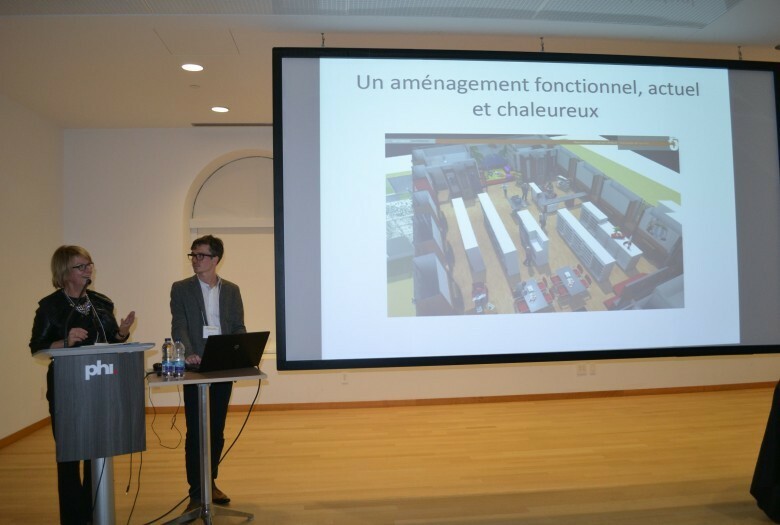 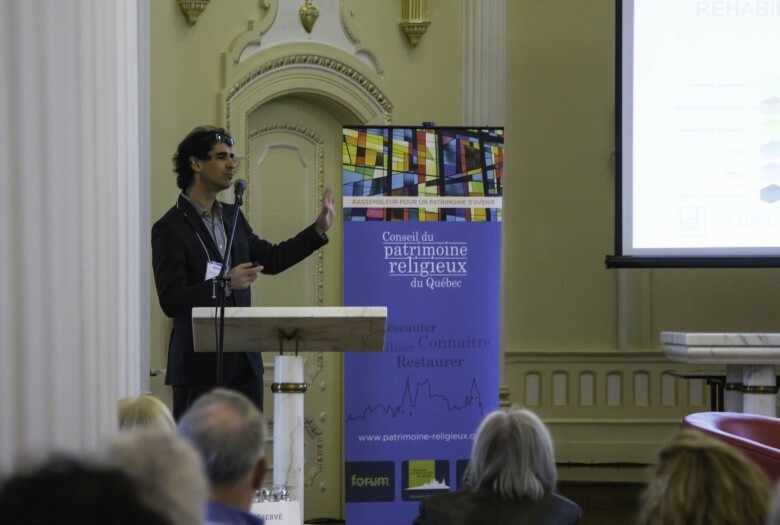 The first Forum was held at the Chapelle historique du Bon-Pasteur and was hosted by Denis Boucher CPRQ. 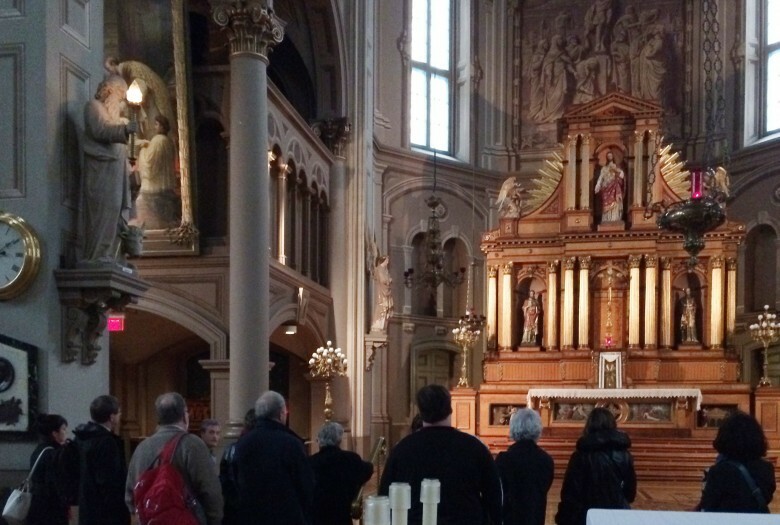 Attendance at the Chapelle historique du Bon-Pasteur. 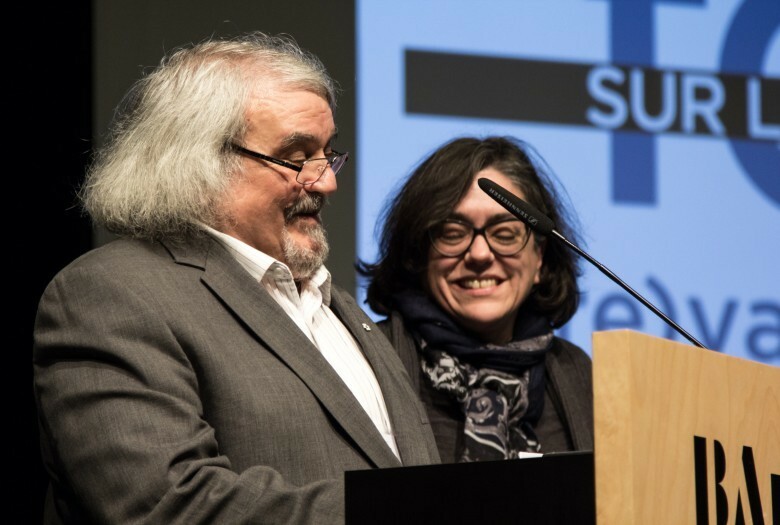 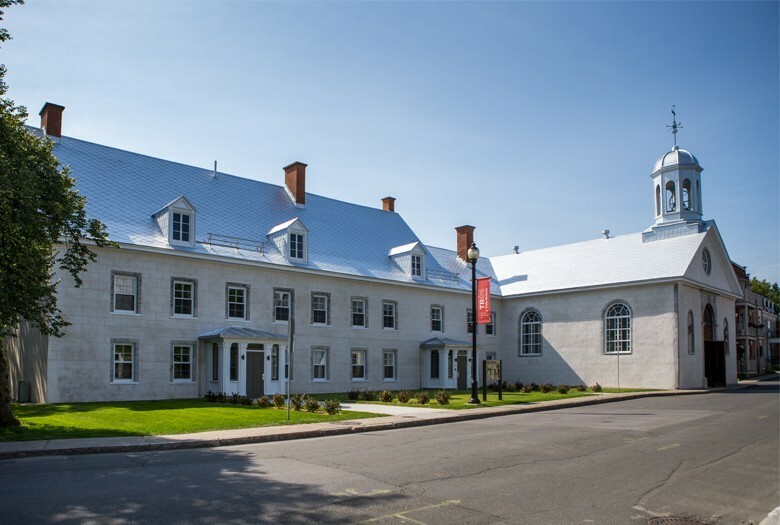 France has Madame Girard and Mr. François Beauvais conference on the development of art related to the building trades by the Conseil des métiers d'art du Québec. 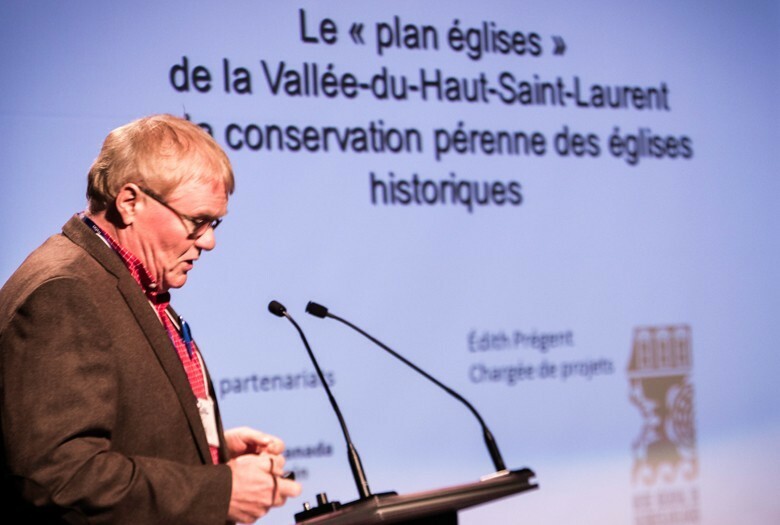 Assistance during the meal offered in the exhibition room of the Chapelle historique du Bon-Pasteur.